Alaska does not offer much choice to prospective accounting students, with under 10 schools offering accounting degree programs. Alaska schools do not stand out in national rankings; however, the University of Alaska – Anchorage and Alaska Pacific University are ranked among the 100 best Western Regional Universities by U.S. News. Despite the lack of outstanding accounting programs, Alaska is one of the most lucrative states for accountants in the country, with accounting salaries well above the national average. Thus, motivated students can get off to a great start in their accounting careers in the welcoming Alaska business community. If you have decided to become an accountant, difficult decision-making will become part of your daily routine. However, it is likely that no decision will be as important as the choice of your accounting degree program. The four or five years you spend in university will lay the foundation to your accounting skills; they will teach you the tricks of the trade, arm you with essential experience, and put you face to face with potential employers. It is in university that your career really starts – so choose the best program and don’t be afraid to challenge yourself. You can gauge the quality of an academic program by looking at rankings, faculty credentials, CPA exam pass rates and graduate employment rates. Ask to see student evaluations and find out more about opportunities for hands-on experience, as accounting is a practical field and you’ll need as much experience as you can get. A good program will also be AACBS-accredited and will help you pass the CPA exam with flying colors, while also enhancing your employability and giving you a taste of real-life accounting. While this may sound like rather high requirements, don’t forget that your degree can strongly influence your career: the biggest firms are known to recruit graduates of the best programs. Most importantly, don’t be afraid of challenge – a difficult program is the best way to prepare for a rewarding career! In today’s changing business world, accountants need much more than an affinity for numbers and calculus. A solid knowledge of finance and business, together with sound decision-making skills and an eye for detail, can take you far in the field of accounting. The first step to acquire these qualities is a solid education. A four-year degree is a prerequisite if you want to work as an accountant; but if your goal is to become a Certified Public Accountant or CPA, you will need to complete 150 credits in accounting and business courses. This will usually require five years of university education and can be completed at the same time as a higher degree. CPAs benefit from better employment opportunities and pay levels; however, the road to a CPA license is not easy. 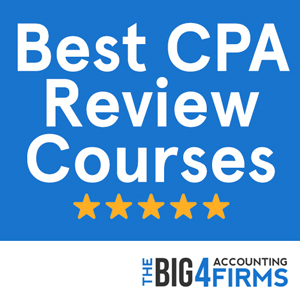 You will need to pass all four parts of the difficult CPA examination and you will also have to meet your state’s requirements before applying for a license. These usually include passing an ethics examination and acquiring one or two years of accounting experience. While this may seem like a challenging career path, you are likely to find that the financial security and advancement possibilities make it worthwhile. The Alaska Accountancy Board requires CPA candidates to complete 150 college hours with an accounting concentration before applying for a CPA license. However, candidates can sit for the CPA examination before meeting this requirement if they hold a baccalaureate degree with an accounting concentration or a minimum of 15 credits in accounting courses. Alternatively, candidates can take the exam if they have acquired one year of public accounting experience under the supervision of a CPA. It is also acceptable to sit for the exam if the candidate is within 18 credit hours of meeting the 150 credit requirement. 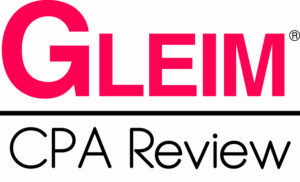 Moreover, a CPA candidate in Alaska has to complete 2 years of accounting experience and to pass the AICPA Ethics Examination before being granted licensure. Despite the failure of Alaska accounting schools to make it into national rankings, Alaska is one of the top U.S. states in terms of accounting salaries. The mean accounting salary in 2013 was $74,500, almost $10,000 higher than the national average. Moreover, the Southeast Alaska nonmetropolitan area is the top nonmetropolitan area in the country in terms of concentration of jobs in the accounting field. Moreover, pay levels can widely vary depending on location: the Anchorage area features the highest salaries with an average of over $75,200, while in Southwest Alaska the average drops to about $73,000. There is also huge variation within the profession, with the highest paid percentile of accountants in the Anchorage area earning a whopping $114,290 on average. 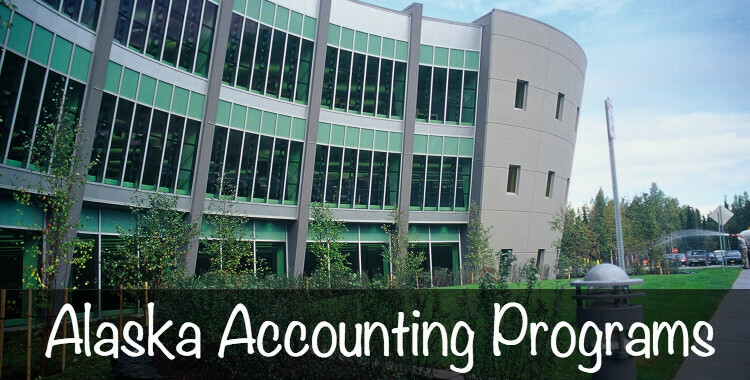 The AACBS-accredited University of Alaska – Fairbanks offers a Bachelor of Business Administration with a Major in Accounting which includes courses in taxation, managerial cost accounting, auditing, advanced accounting, governmental and non-profit accounting. Thanks to its comprehensive business curriculum, the program boasts a graduate placement rate of almost 100%. Moreover, students can get a taste of real-life accounting through extra-curricular activities provided by student organizations such as The Great Alaskan Accounting People, accounting firm visits or the Volunteer Income Tax Assistance program. Moreover, prospective accountants wishing to study at a graduate level can opt for the Master in Business Administration. The Capital Markets concentration of the MBA includes courses such as Accounting for Managers and Contemporary Topics in Accounting alongside courses in analytical methods and finance that can prepare you for an accounting career. While the school is not nationally recognized, the flexible schedule, good student to faculty ratio and in-depth curriculum recommend it as a good option for anyone wishing to become an accountant in Alaska. 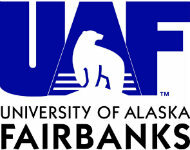 Ranked 71st among Western Regional Universities by U.S. News, the University of Alaska – Anchorage offers an Associate of Applied Science degree with a Major in Accounting, a Bachelor of Business Administration with a Major in Accounting, and an AACBS-accredited Master of Business Administration that can qualify students for taking the CPA exam. While the Associate degree provides students with the skills necessary in entry-level accounting positions, the BBA prepares them for CPA certification. BBA students gain a wide business expertise as well as specific accounting skills. The University of Alaska also offers opportunities for professional development through networking events and student organizations such as the Accounting Club. Students wishing to pursue higher studies can complete the MBA program at the University of Alaska, which boasts low tuition fees and a flexible schedule, as well as experience-focused learning. While the MBA offers broad training in business and management, students can opt for an Executive Seminar in Accounting and finance courses to tailor their degree to an accounting career. While the University of Alaska does not match up to the top accounting programs in the country, it is a good starting point for an Alaska prospective accountant looking for the best option available locally.